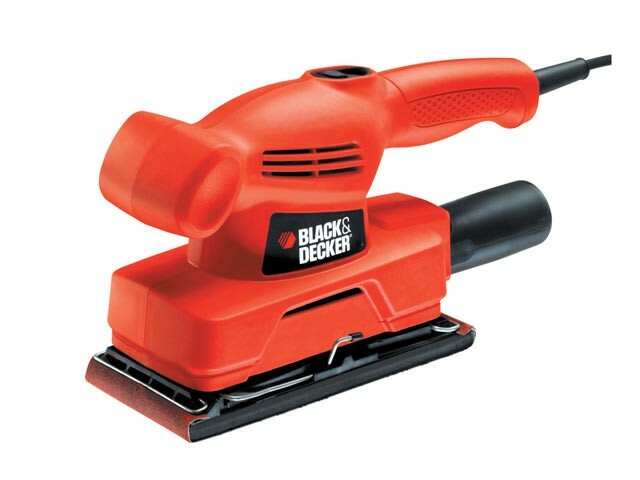 The Black & Decker KA300 Orbital Sander has a lightweight design with front and rear handles for maximum comfort and control. Highly versatile, thanks to its large third sheet base that sands flush to three sides. Ideal for using on vertical surfaces such as doors and walls, for light to medium sanding tasks. Ergonomic front handle allows for comfortable operation of the sander. Clip paper attachment holds paper fast whilst sanding and for easy fitting or removal of sand paper.